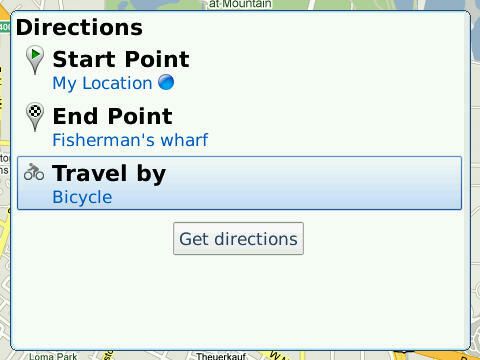 Grab your BlackBerry, hop on your bike, and have your friends join you with Google Maps for mobile! After adding biking directions and sharing for Android folks a few weeks ago, we're happy to announce that Google Maps 4.2 for BlackBerry can also let you get biking directions, quickly see helpful info when searching, and share places with friends. 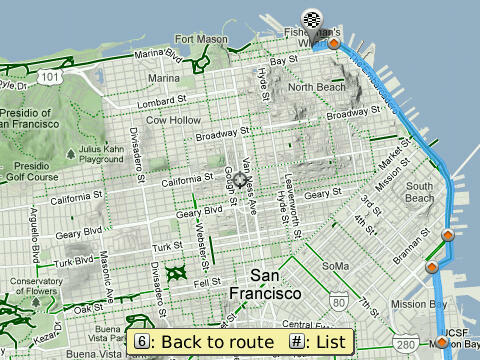 If you’ve been using Google Maps on your computer to get biking directions, trails, and lanes, you can now head out for a ride using just your BlackBerry. 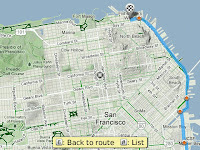 When getting directions in Google Maps, just choose to travel by bicycle to get an optimal bicycling route in the U.S. If you’re in the mood for a more scenic ride, you’ll also see the Bicycling layer on the map which shows dedicated bike-only trails (dark green), roads with bike lanes (light green), or roads that are good for biking but lack a dedicated lane (dashed green). You can always turn on this layer from the Layers menu to devise your own route. 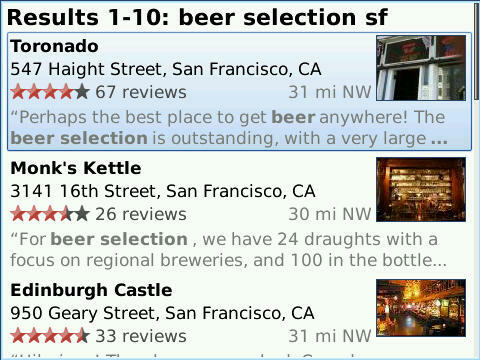 The next time you're searching for a late night bite of pizza, you'll see a redesigned list view of results with pictures and ratings. 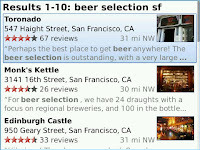 Select one to see a simplified search results page with easy-access buttons for directions, calling, etc. 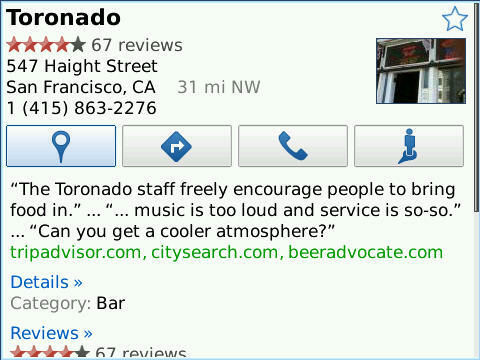 and all the info you'll need right below. Select a section, such as “Reviews,” to see more. A new “share this place” option lets you send anyone place info, such as its address or phone number, by email or text message. In addition to specific places like a restaurant, you can also share any location you select on the map -- including a snapshot of where you are at the moment -- to help folks meet you outside or right where you’re standing! 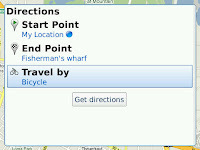 To get started, go to m.google.com/maps in your BlackBerry's browser and install version 4.2. In case you’ve had previous installation hiccups, we've also fixed some issues with permissions and BlackBerry Enterprise Server installation on some 5.0 devices. Learn more in the Help Center, ask questions in our Help Forum, or give us suggestions and vote on other people’s on the Mobile Product Ideas page. that is great! Love that near the beach when you bike just about everywere! thanks for fixing the handling of BES permission restrictions! So Blackberry gets Google features that my Android 1.5 device will never see the light of? OMG FAIL! Can you re-release this again with the touch screen options for us BlackBerry Storm users? I updated and wished I hadn't now. I lost all my touch screen capabilities and forgot about scrolling. That requires the screen since I have no track ball. Still Not working on BES server for Verizon BB Tour. It says device not supported in the BES.